The spirits of the wind will carry the whispered truth further than the shouts of liars will ever reach. Description: There is an ethereal quality to this young woman, with her willowy, delicate frame, porcelain pale skin, and eyes the color of winter morning mist. Those eyes are wide, framed by sinfully long lashes, and are often focused on some unseen point in the distance, rendering hers an oft-distracted gaze. Her smile, when it comes, is a slow, lazy thing, as if there is some amusing secret she's considering sharing. Her laughter is a quiet song, soothing and sweet, though when riled her words can exude the icy chill of the North. Personality: Khanne is one of those rare creatures that are entirely comfortable in their own skin. Whether her hair is upswept elegantly or flowing loose and wild, she carries herself with a certainty that makes others second guess themselves. She's hardly imposing however, and in fact is empathetic almost to a fault. Her smiles are for everyone, though that smile turns cold indeed if talk turns toward disparaging the Northlands or her deeply-held shamanistic beliefs. To those not charmed by her waifish demeanor, she can seem a bit eccentric, but such judgments don't seem to bother her at all. Background: While other Redrain have turned from the shamanistic beliefs of the Northlands, Khanne embraces them wholeheartedly. Disappearing into the forests and open tundras is an artform that Khanne perfected early in life, surviving off the land and communing with the spirits of the places and living things she's so fond of. Not simply content with embracing the beliefs of her religion personally, Khanne feels a calling toward sharing those beliefs with others, and as such has taken it upon herself to educate not only those Northerners that have turned to the Pantheon, but also those from southern houses that seek to learn more about their northern neighbors, whether for reasons of diplomacy or geniune personal interest. When she doesn't have an audience to share with, she vents her passions via artistry, paints and brushes replacing words as she spills her innermost thoughts onto canvas. Arriving in Arx the first time, Khanne took it all in stride. She could wear silks as comfortably as leathers, speak as eloquently as a southern courtier, and do it all while fully embracing her Northern origins - meaning many a southern lord has found himself captivated by her impassioned speech only to find he's somehow been drunk under the table by a softly-smiling girl. After the tragedy at King's Rest, Khanne returned to Arx once more from the North, determined to prove that solace can be found in the old beliefs, even while embracing the charms of the south. Bianca - Like finding a kindred spirit when we met, then life kept us apart. Anze - We enjoy razzing one another from time to time. Should really speak more often. Calypso - Duchess General. She understands the importance of Spiritual matters in relation to defense. Cybele - I never see them as often as I would like. Powerful Shaman. Valerius - We've worked together rather closely on occasion. He's a blast to share a drink with! Donella - She makes me laugh in surprise quite often. I'd like to get to know her better. Edain - I met him in the Hall of Heroes. What a perfect place to meet him. Alis - I still hope, one day, to know her better; to be friends. Joscelin - There's always talk of scones and friendship, but she is a busy (and impressively talented) woman. Mason - Just getting to know him better, but, there is a mutual trust that is appreciated. Aislin - Inspiring Explorer, a constant reminder that I was once Lady Snow. Mae - She's a mystery at times, but a lovely one to know. Venturo - Master Brewer, Master Story Teller, and quickly becoming a friend. Mirk - Good to be able to work with him. A great man, my cousin. Tesha - My dear Sister-in-law, and a good friend... she's also a great sketch artist. Arik - You are still a brat, and I will always treaten to stab you... but I don't know what I would do without you. Percephon - Amusing Scholar and friend who gives the most amazing compliments. Cassius - A man I trust with my life and the truest friend anyone could want. Asger - A man with the balls to piss me off, feel the ice of my anger, and stick around to watch it melt and become a trusted friend. Reigna - Beautiful: in heart, mind, and visage. My best friend and confidant. Kael - Stoic as expected, but when he laughs, joy fills the room. Alaric - The Awakened King. I like to count him as a friend, even if I rarely get to speak with him anymore. Alarissa - A day spent in her company is entertaining, and often enlightening. We have some wonderful mutual friends in common. Darren - I'm his favorite. Cirroch - We knew each other better in youth, but are given a chance to be good friends once more. Victus - Perhaps not close, but we have had some amazing adventures together. Valerio - Clank. Clank. Clank. I swear he sleeps in armor. He should wear his other uniform more often. Jhond - The only Whisper I know. A tie to another time. Laric - Am I really calling the Master of Questions a friend? Yes, I am. Morrighan - She's a good friend, a good person to drink with, an even better person to have your back in battle. Percephon - Perpetual presenter of phenomenal smiles. Perce. Ailith - She believes in the value of working together, and is a ray of sunshine when the clouds hang low. Lianne - The dark to my light, the night to my day. She is beauty and grace, and I am blessed to count her as a beloved friend. Percephon - My beloved Husband. My Balance. My everything. Always. With him I am stronger, can rise higher, and shine brighter. Niamh - Mottled Western Stray's sister, and mine too, so she proclaimed. Muiryn - Boots. You are sorely missed. Fergus - I am glad you found happiness before the end. Eirlys - Thank you for the trust you showed me in the end. Cassius - You gave your all for your family, and for the Gods. Thank you for your friendship. Valerio - Time to put your armor aside and be one of the stars. Thank you, for everything. Lottie - The most amazing baker in the city! She creates magic and taking a bit of one of her pastries is to feel joy. Aislin The first time I spent any real length of time with Khanne was the excursion to the Grove of Three Shamans -- she struck me as both competent and insightful. Since then, we've only had a few interactions -- generally in the context of the Greenmarches -- but she's done nothing to prove me wrong. And perhaps she might be one receptive to my curiosity about shamanism -- about the faith my mother once practiced. Alaric There are many that seek knowledge and wisdom, but many do so to find confirmation for what they already believe. Few seem as open-minded about taking the path where new things lead them as Khanne. Bliss The Vala of the North. While we have found ourselves in disagreement on any number of things, she has always proven herself to be kind and compassionate, understanding - but that does not mean she is weak in her beliefs, or the standards she holds others to. She has helped me see some things quite clearly, and I still need to catch up with her for that drink when I can. Calaudrin Lady Khanne was very open when I spoke with her on a particular matter of great importance to me. I was impressed with her disposition and maybe in the future, our paths will cross and we'll work together. If nothing else, I hope that I've given her something that she can use. Cambria The first northern lady I have properly met, and was not disappointed. She has proven that the wild north has its own grace. To mistake her strength, however, is to deny the majesty of the elements themselves. I hope for a long and fruitful relationship. Clara Oh good, a woman willin' ta step up and tell me brother what's what. I like her already. Darrow The Halfshav minister seeks to bring Abandoned in as prodigals, rather than corpses. Elgana While I do not know her all that well, I do see in her a quiet fire that no doubt is quick to blaze hot and fierce when it must. We are lucky to have her and perhaps in time I can be lucky enough to call her friend. Faye She keeps a flask of a little something-something with her. This is definitely a woman I'd want to sit next to in a boring meeting. Fortunato A shaman, naturally sees farther than most and quite the gentle conversationalist. Very knowledgeable in areas where I am not. Hoping to deepen the acquaintance. Freja Calm, Collected, Centered Shaman - stutters when she drinks over long words. Harald Direct and fair. Alas that more mainlanders are not so reasonable. She smiles too much, though. Joscelin Red-haired, authority, kind, inquisitive. Good taste in jewelry. Juniper She carries a great deal on her shoulders, but always with grace and a forward-thinking air. It is people like Vala Khanne who best represent the North. Killian A very serious woman, she seems quite devoted to her duty, a trait that Killian can certainly respect and admire. It seems as though she might be prone to tunnelvision, when focused upon a goal, but perhaps that is just the situation of the first impression circumstance. Lianne Admired in distant glimpses and intermittent intersections for so long. Our lives have overlapped in such interesting ways, and yet there seems a slow tide between us determined to draw us together only to let us drift apart again. Perhaps if we both lean in against it this time, we can resist that pull and see what blossoms from our curious commonalities. Magpie Magpie met Khanne at the suggestion of another friend. He sent her a letter and she actually agreed to meet him. They had an interesting conversation about shaman and Magpie enjoyed talking to her. He gave her a mint plant as a gift because of *course* she said her favorite color is green and where does a person get green flowers? Why do people make things so difficult?! Mint is the gift that keeps on giving, though. Mydas Khanne was a surprise. A name I had heard before, a face glimpsed at, but nothing more. And then we found in each other's company for the duration of the wrestling matches we both attended. It was a good meeting, one that, unfortunately, was not followed by others in the short term, I had to leave to go back home. Unfortunate, that we haven't more time to leisurely share those conversations again. But when we do, it remains a pleasure. Olivia Another person who's helpfully brought Olivia into the mix on all of her Petrichorian / plant whisper related woes. She seems like a very important and helpful contact to have in the future, and maybe someone who can help mentor Olivia in some of these areas. As always I really appreciate people who are willing to involve me in their plots! Rook One of the Redrain Shamans, she's rather talnted at what she does. 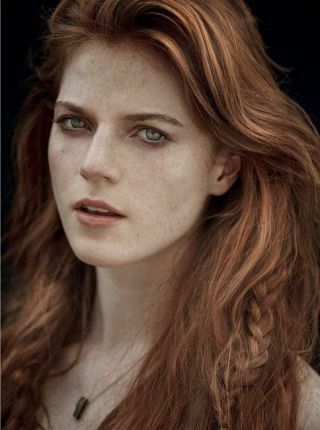 Rook first met her outside of the Redrain palace after a meeting with Darren. She, Valery and - someone else - spoke of their restoration of the Grove. It seems it was a success. She also happens to be a fellow Minister, of Agriculture. Respect where respect is due. Rymarr A shame really that we never stay in closer touch. But with messengers that rarely feel fatigue, beasts that can track down a recipient wherever they may hide, and the uncanny ability of couriers to bypass every guard in their path? Surely I've slacked in my keeping in touch with the Lady of Halfshav. She, along with few others I've met, from the North have truly changed my perception of the people from the north. So often they are considered savage, barbaric, and barely civilized. She is an example which early on granted me some insight that to be from the North isn't to be savage or barbaric or anything of the like. It is to be strong, resilient, and noble in spirit. They are a strong people and Lady Khanne Halfshav is a sterling example of the spirit of the North. Sebastian A pleasure to have met her at the game of Thirteen questions and to hear the answers that she gave. I look forward to additional games in the future. Though hopefully the answers will not bring a somber finish next time. Shard I've kept away from the shamans in Arx, for the most part. I'm not even really sure why. But when it comes to this one, I trust her judgment, and I don't say that often. Except when it comes to who she chooses to admire, because admiring me is /ridiculous/. Silas The Crown Minister of Agriculture, and an intelligent woman by all observable accounts. She sought Silas out for his skill in woodworking when he was a commoner and Silas suspects she -might- like birds and painting. They don't cross paths often, but that may change with the sudden uptick in numbers of adventures he may be having. Tallius Mountain or pebble, either one would have granted me not a word were it not for the presence of the Vala, this is something I am certain of. She is a woman to be respected, and a counsel to be heeded carefully. Tarik She is a very patient, and I can see why she is The Voice. She seems to genuinely care about her subjects and wants to help them. I think it is going to be one of my greatest honor to be entrusted with her safety and well-being. Valery One of the shamans. She's nice and warm, and she listens.